PACC911 has become known for its life saving medical funds that allow our partners to save hundreds of lives each year, when veterinary costs would otherwise be prohibitive. These are pets saved who would not have had a second chance without our vital medical assistance. PACC911’s influence has a huge impact on the homeless animals finding themselves in county shelters or in other precarious life threatening circumstances; rescue organizations partnering with PACC911 have more ability to save those with critical needs requiring extensive medical care. This arm of our program assists partners with veterinary expenses giving them the ability to save animals with costly medical conditions, which they otherwise may not be able to afford. This is a set amount allocated to the partners each year. Since 2004, the EMF has saved the lives of over 1800 pets, allowing them to become beloved family members. 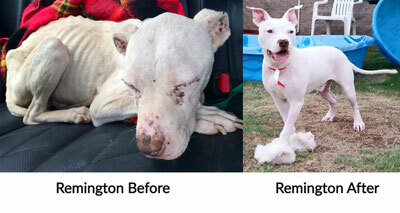 This fund is for those animals who have been victims of cruelty, abuse or extreme medical neglect. The Critical Care program has two primary funding sources; the Lulus Angel Fund (LAF) and the Heidi’s Healing Fund. Both have the same mission and are used as long as funds remain in each entity. We graciously thank the Lulu’s Fund, part of the Timothy T. Day Foundation, Inc. for their initial endowment to launch this program, along with their continued ongoing support of PACC911 along with The Heidi’s Healing Fund that has so generously provided vital funding and support as we continue to grow. And of course, You, the public, for your kind contributions to help save the animals in need. There are no other programs like the EMF and the Critical Care program in the state of Arizona–and possibly only a few nationwide. You can make a difference now and contribute to saving severely abused and neglected animals by clicking on the make a donation button below. Help us to save more lives! Meanwhile look at our gallery, read the stories and see the photos of these precious lives that have been saved and gone on to loving homes or are awaiting adoption. Donate to PACC911’s LAF via PayPal with the button above. PLEASE notate on PayPal that this donation is for LAF. and join our exciting work.